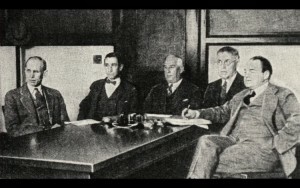 This is actually a photo of the Federal Radio Commission in 1929, so pretty close to the right time period. Also: omg, look at how big their ears are!! !